Let’s just be honest up front, a great website can be the difference between your restaurant thriving or failing. Creating a great website for your restaurant may seem difficult or even impossible, but it’s actually quite simple. If you follow these seven tips, you should be on your way to a perfect website for any type of restaurant. This is possibly the most important tip. There are small things that separate great websites and terrible websites. Your site can’t be overly complex or be too cluttered. You should have a good amount of information, but too many tabs, links, and even pictures can seriously turn off any potential customers. So, have each separate feature or piece of information in its own distinct place that is easy to reach. You wouldn’t believe my frustration when I was researching restaurants for last next vacation and found ones that didn’t have any of their food options! How am I or any other potential customers supposed to know whether or not we’ll end up liking the restaurant if we don’t even know what they serve? That is why it’s so critical to include what you serve! This is another turn off for potential customers. Let’s face it…everyone has a price range they are looking for when they dine out. By including your pricing you are making it easier for customers to decide whether your restaurant is right for them or not. Some people are looking for a high end dining experience, some only eat at low cost options. Some also don’t care, but want to have an idea on what to budget for. Make it easier on them. Just like stating your prices, you should keep in mind that not everyone wants to go to everyone restaurant. 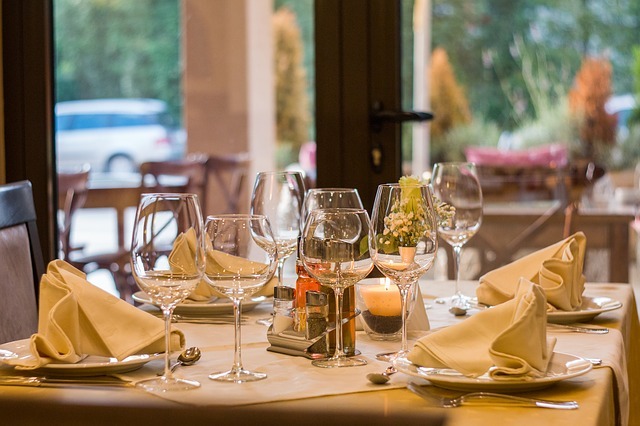 If you are an upscale, downtown Manhattan bistro, make sure that your site makes it apparent. If your restaurant is a family focused diner, keep that in mind when creating the site. A website should be one of many doors of communication between you and your customers. Clearly show your phone number, contact email, and even consider having an easy to use contact form so that your customers can reach out with questions, send in complaints, and sing your praises. Your About Us page should accurately tell the customer the story of the restaurant, all of the ins and outs of the restaurant, and inform the customer about the restaurant’s team. This is your time to share your passion and let your restaurant’s personality shine. You’ll be surprised how effective this is for bringing in new customers. This is simple. Only use images that are high quality and accurately represent your restaurant. Poor images will get associated with a low quality dining experience, which we all know isn’t the case. Your restaurant’s website is just like having another restaurant location. If it looks poor and low quality, that will reflect on your actual physical location too. We specialize in custom website design for restaurants and other small businesses in Omaha, Nebraska and across the country. Contact us to talk about sprucing up your restaurant’s website today! Awesome Article, Thanks For sharing this useful information regrading how to build a restaurant website what are the main thing you should need to keep in mind.